Nearly two months after Hurricane Irma made landfall in Florida, more than 350 students united on Oct. 28 to help sites across South Florida recover from the storm as part of the Magic of Service Day. Students were spread across 21 different sites in South Florida, including at Bill Baggs Cape Florida State Park on Key Biscayne. The park suffered significant damage from the storm, and park rangers are still to pick up debris on the park’s beach. Assistant Park Manager Lu Dodson said though the park has made progress in recovery, the process is still ongoing. 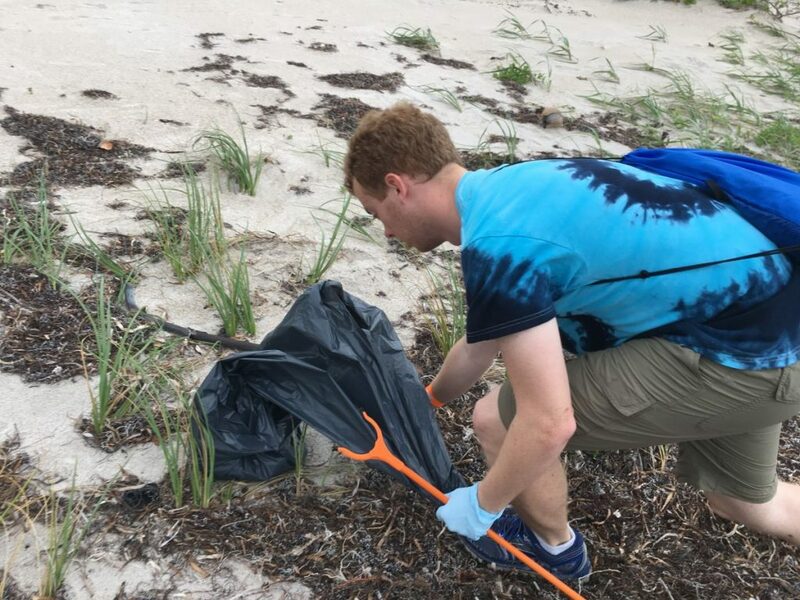 Students at the site spent the majority of the morning cleaning up debris on the eastern side of the beach and the harbor on the western side. Mizelle Hornilla, who volunteered at the site, said it’s not only important for students to volunteer in nearby communities. The site’s service day was cut short because of rain, and students were bused back to school around 1 p.m., nearly two hours before the service day was supposed to end. However, even though the service day was cut short, Hornilla said she felt she did her part in helping restore one of South Florida’s most popular parks. In the end, Hornilla said it’s about service. The service day was the first time two service days have been combined. National Gandhi Day of Service, an annual event inspired by the late spiritual and civil rights leader Mahatma Gandhi, is usually held in early October. However, because of Hurricane Irma prevented the event from taking place as scheduled. Hurricanes Help the Hometown is a service day that is always held during Homecoming week. In order for National Gandhi Day of Service to still happen, the two were combined. Hurricanes Help the Hometown Chair Mary Balise said the two service days tend to attract different crowds. She said their committee usually sees a lot of student organizations coming out for homecoming points for their group while National Gandhi Day of Service sees a lot more people coming out solely to serve.